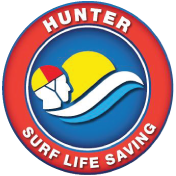 Please be aware that we have a strict no photo's policy at our Carnvials, this is in line with Surf Lifesaving Australia's Photography Policy. If you would like to apply to be a photographer, then please complete the Media Accreditation Form and you will be isued with a pass. All photographers must sign on at each carnival and they will be issued with a HSLS photographers vest. Anyone not wearing a photographers vest and seen to be taking photos at a Hunter carnvial will be asked to stop and asked for photos to be deleted.